The last comic book show of the fall season is upon us and it’s definitely not the Supernatural ripoff that some people think it might be, it’s also not a spin-off of the Keanu Reeves movie from a few years back though it shares the same name. Instead, it’s something inbetween the two. It’s based off the John Constantine Hellblazer comics from DC’s Vertigo line and from what I understand this plays it much closer to the source material than the Keanu movie ever did. But at the same time, since I am familiar with that movie, I do see a few similarities for the uninitiated. For the most part I thought it was pretty good, and it got kicked up a notch during the climax. 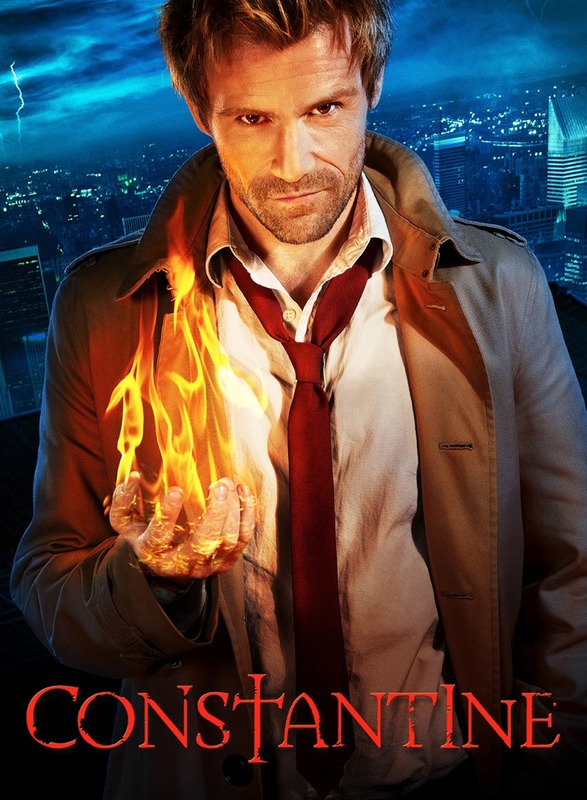 Like the movie, the show essentially introduces us to Constantine through another character. This is a character who knows nothing about the spirit world and the apparently upcoming battle between heaven and hell, and yet she has the ability to see into the spirit realm. This ability was passed down to her from her father who she never knew, but was good friends with Constantine. And while we learn here in the pilot that his soul is condemned to hell, we are not yet privy to the reason as to why. According to the movie, it was because he committed suicide as a teenager, but he was also able to see the spirits in that version. Here, he can’t actually see spirits on his terms, but he knows about their existence and how to fight them. He was also blamed for his mother’s death by his drunk and abusive father. The young woman, Liv handles this information dump relatively well and by the end of the episode is ready and willing to join in the battle for evil at Constantine’s side, which was all part of his plan even though he gives her the impression that he is a reluctant cohort. My question is, how long did it take him to draw that? Plot aside, I thought the actors were great. I liked Lucy Griffiths as Liv even though she is a pilot victim and will be replaced in the next episode. Matt Ryan is great as Constantine, I do like how they kept him with an accent and didn’t Americanize him. He has the right amount of dark humor and delivers it completely deadpan. The look of the angel and demons came across quite well, the angel Manny’s eyes were subtle yet creepy, and it was another nice subtle effect to have the skeletal look show through in flashes when they introduced the electricity demon. The part of the show that really nailed it for me was during the climax. Constantine has the circle to trap the demon, but it’s an electricity demon in the middle of a big city and arrogant as hell. He makes a call to his hacker friend who he met up with earlier in the episode and shuts down the entire power grid before lighting the circle on fire, the demon returns by showing Constantine the little girl that he wasn’t able to save in order to bargain for his freedom. That interchange between them really sold me on the show, especially for Matt Ryan’s performance. I was a fan of Supernatural, I was a fan of Grimm, and I hope that this show lives up to its potential and becomes something closer to the Flash and less like Gotham. Until next time, this has been Bubbawheat for Flights, Tights, and Movie Nights. Posted on October 24, 2014, in DC, TV Nights and tagged Constantine, DC, review, television, tv. Bookmark the permalink. 2 Comments. 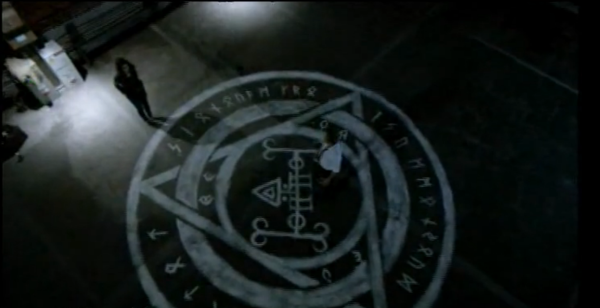 Constantine definitely had a bit of the Supernatural vibe to it. But gotta say, the pilot entertained. A lot more than the other comic book TV shows this new TV season. Something about John Constantine himself and Matt Ryan as him – makes for an interesting protagonist. See how it goes! Yeah, I did like Matt Ryan quite a bit. I’m still more fond of Flash and S.H.I.E.L.D. but this comes in a close third.